The children in Room 3 are very active and have been enjoying learning new yoga skills with Cosmic Kids. This is an interactive YouTube channel that takes the children on a variety of different 'journeys' where they have to help the instructor by completing various yoga moves. 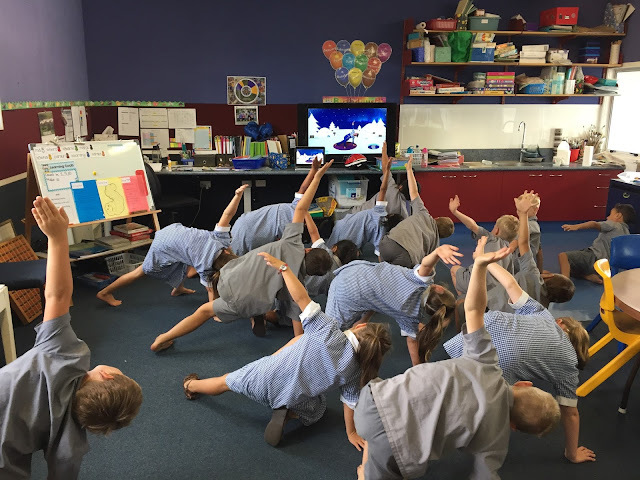 CosmicKids is a great activity as it gets the students moving their bodies in a range of different positions, some of which are quite challenging. During our swimming lessons the children have been learning skills such as getting in an out of the pool safely, floating on their front and back in a starfish position, forward and backward rolls, duck diving to retrieve sinkers and streamline swimming on their front and back. The children love playing 'stuck in the mud' where if a chid is tagged they will only be unstuck if another child comes and swims under their legs. 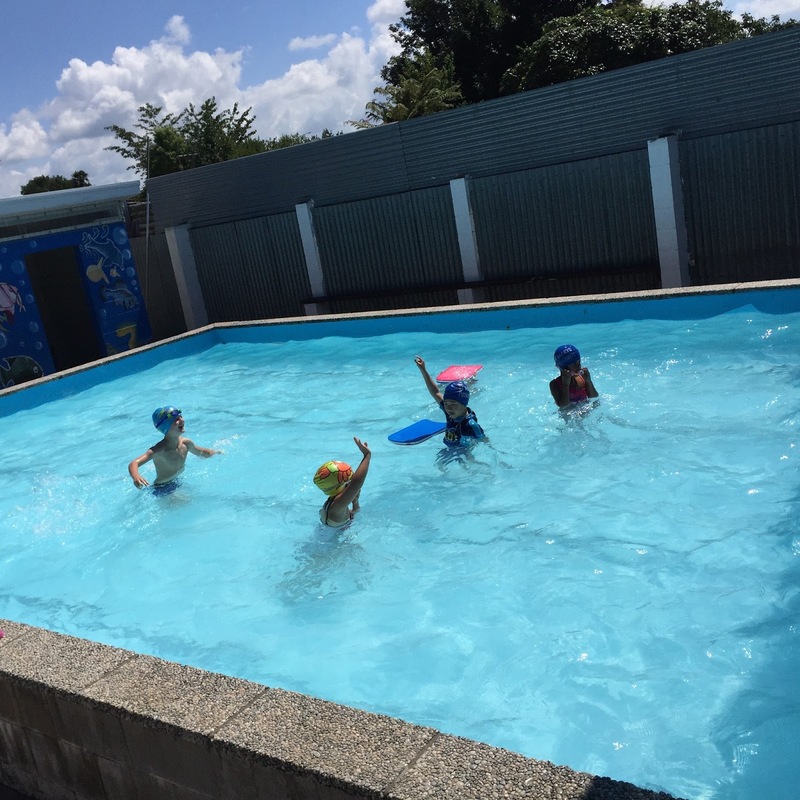 This game develops the skills to move quickly through water on their feet and enhances their ability manoeuvre under the water while holding their breath.